We are a dynamic IT consulting company and looking for employees, that are willed to contribute to the further expansion of CNT. Benefit from our success and be an IT consultant within one of our challenging projects both nationally and internationally. 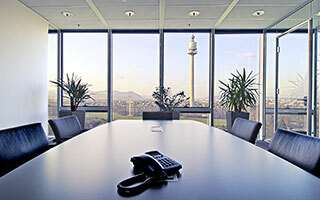 At our company young professionals are also welcome as experts that would like to enlarge our team. You have an established business and/or a technical education, SAP know-how and the experience, to successfully perform our customers projects? Then your are highly welcome in our team. 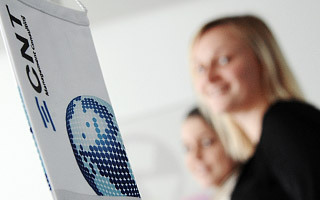 We offer the possibility, to gain experiences both nationally and internationally with varied and challenging projects. Our network enables a knowledge transfer and exchange of experiences with other colleagues. An individual training and qualification concept contributes to the optimum use and further development of your skills. Trainings of our partner SAP and a large tender from CNT academy are available for you. CNT offers a transparent payment which is oriented towards your performance. At our house you can profit from a company car and increase your income with a bonus. For us, company development means investing in professional and personal development of our team. Proven, sustainable solutions as well as the use of new technologies and innovative methods guarantee optimal results for our customers. We maintain relationships with our partners on the basis of trust and high quality cooperation over many years. Our goal- and solution-oriented activities as well as the high quality standards of our experienced consulting team create long-term customer satisfaction. Our power of implementation, the commitment for the projects as well as the continuity with customer relationship confirm the trust placed in us. The understanding of our clients’ domain, of their business and their processes forms the basis for a successful project implementation for our clients. Commitment to the company, appreciation in dealing with each other and mutual respect are most important to us. Mutual support, sharing of knowledge as well as short and direct communication channels make our team strong and are the basis for mutual success. We promote dedication and reward performance above average within the company. 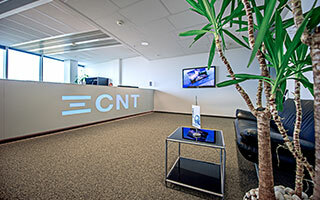 CNT Management Consulting GmbH is a consulting company that perform national and international SAP-projects. We offer you an active co-design of our customers SAP processes, a performance-oriented salery as well as design possibilities within the projects. The international customer projects require high personal responsibility and offer a safe and attractive workplace at the same time. You want to learn from the best in the SAP-Sector? Make a lot of interesting memories? Want to accelerate your career? Then the Trainee Program to become a technical SAP Consultant is perfect for you!